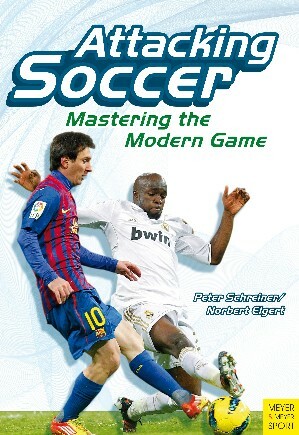 View Cart “Coaching Soccer 10 – 15 Year Olds” has been added to your cart. 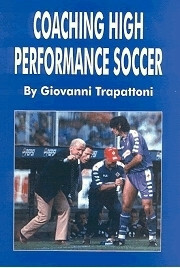 With Attacking Soccer- Mastering the Modern Game every coach can set up training plans according to their needs with the help of numerous training modules compiled in a book with many illustrations.Soccer fans around the world adore the offensive style of play based on fast passing combinations, spectacular dribbling, and the art of beautifully shot goals. The question regarding this style of game is how to coach your team to embrace fast attacking soccer. How do you shape your training to cover all the technical and tactical basics? Peter Schreiner and Norbert Elgert, renowned German coaches, give the right answers, including systematical approaches.Every coach can easily shape his training programs with easy to use exercises, which are richly illustrated.Peter Schreiner is the author and producer of many books, articles, and DVDs on soccer as well as the software "Easy Sports-Graphics" which is especially designed for coaches. He is the chairman of the German Institute of Youth Soccer and Co-Founder of the German Soccer-Academy. He coached the youth team of Schalke 04 and is now an official coach of the German Football Federation.Norbert Elgert started his career as professional Bundesliga-Player for Schalke 04. After that he pursued a way of active coaching and won the German youth championship with Schalke’s team. He is official coach for the German Football Federation.Meyer & Meyer Sports books are distributed by Cardinal Publishers Group.